We will develop a more efficient and safer technology platform for advanced cellular therapies, namely to manufacture CAR T-cell products for personalized treatment of cancer patients. Recent Success Stories of CAR-based therapies have raised enormous expectations to cure severely ill patients. 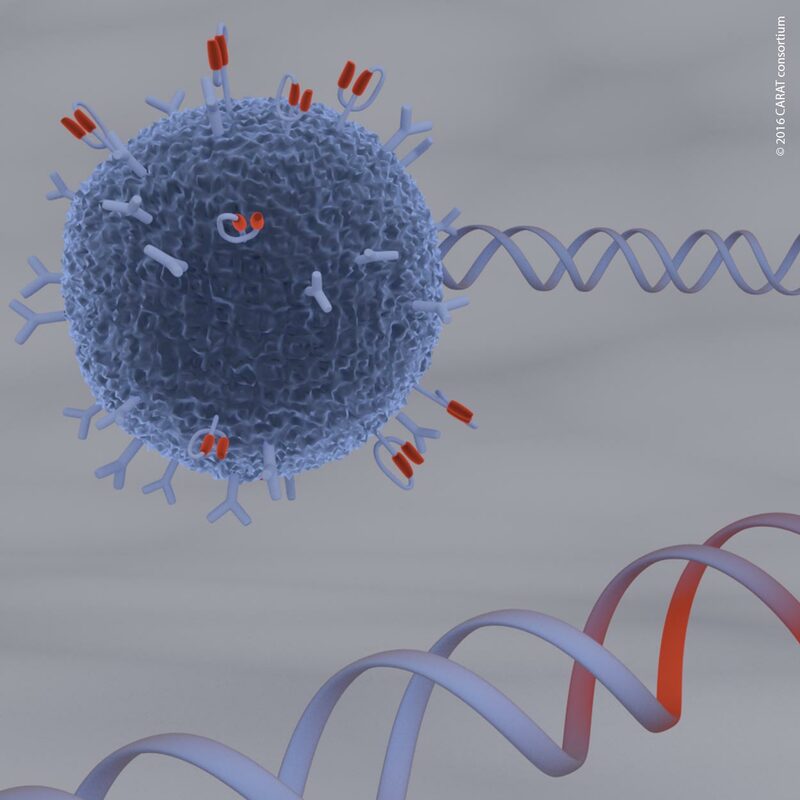 Initial clinical studies demonstrated considerable evidence that the artificial recognition molecules allow specific targeting of immune responses towards complete and stable eradication of cancer cells. Translation into the clinic of such advanced therapeutic concepts is still extremely difficult as the manufacture of CAR-modified T-cells is technologically complex and expensive. The CARAT technology platform will enable the automated, safe, and cost efficient manufacture of more effective CAR-modified T-cells. Thereby, CARAT will spread the clinical use of CAR T-cell technologies with the ultimate goal of serving patients with so far incurable hematologic malignancies and solid tumours like colon, pancreas or lung cancer – everywhere in Europe. As part of our dissemination activities within CARAT, we are offering for the third time a training course on “GMP-compliant CAR T Cell Manufacturing”. For more information on the course and the application procedure, please click here. For having a look at a report on last year’s training course, please click here.